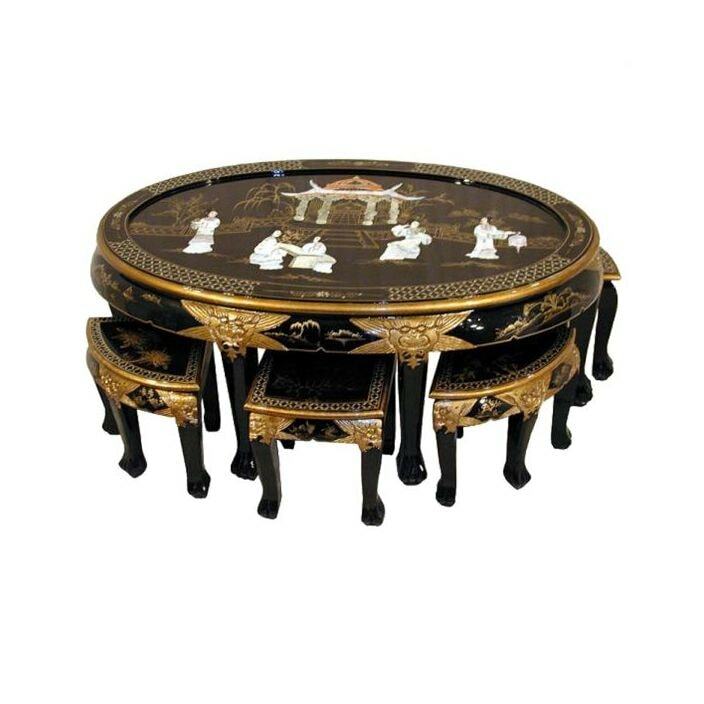 From our stunning collection of Chinese furniture comes these exceptional mother of pear table. This table includes 6 stools, all featuring delicate designs are a welcomed addition to our ever expanding range of furniture collections. Handcrafted and carefully built to the highest quality, this table and set of stools are sure to astound and brighten up any room in your wonderful home.